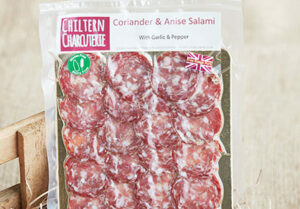 Chiltern Charcuterie is a small family run business nestled in the Village of North Dean, Buckinghamshire. 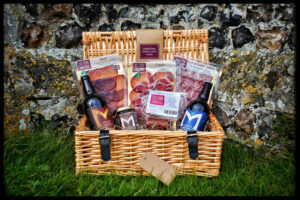 A leading Artisan producer, with award winning Salami’s and Air Dried Charcuterie. We take pride in sourcing our meat from local independent farms, knowing they can provide us with high quality Free Range Pork, Grass Fed Beef & Lamb. All our Venison is ethically sourced. We strive to provide a variety of high quality and full flavoured cured meats that we are convinced you will love. Perfect for retail and Trade alike. We hope you enjoy them. Why not try for yourself, with our special postage deal. Buy any selected product and pay just 50p postage per item. 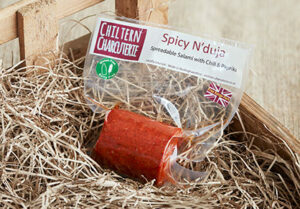 We love to experiment with new recipes and develop our ideas to bring a special quality & flavour to our Charcuterie. 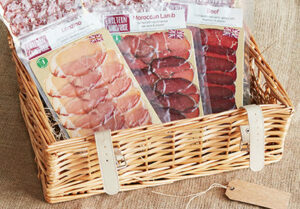 We supply a number of customers, including local Farm Shops, Pubs, Restaurants, Wine Bars & Butchers. If you would like any more information, please get in touch. All prices are zero rated vat.